With the modernization growing up every day, technological development seems to be at its peak. One such is the Portable Document Format (PDF). Developed in the 1990s, PDF came into existence in order that a file format could be made which could maintain a fixed format. The very basic reason for this remained in the fact that sharing of documents from one to another computer was very difficult. In the years that succeeded, PDF seems to have become one of the most popular document formats all across the globe. Be it a book or a document, PDF is cherished among all peoples. The format is accepted all across the globe and can be displayed around the world. (not restricted to geographical barriers). PDF Files can be created with the aid of diverse security features. Thus, they can be password protected. Moreover, the owner of the PDF content can either permit or disallow a person at his/her will and hence the owner has the control over his/her content. Irrespective of what operating system you work on, (PC, Mac, iOS, Android; etc. ), PDF works on all systems. PDF files, when compared with other formats; have smaller file size and hence much space is saved in the system. 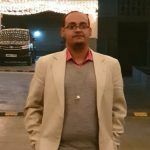 Although this format has given the world many boons, its usage is not exempt from errors, in the write-up that follows, let us look at the errors which create huddles while working with PDF files. Also, let us seek out ways to solve these Errors to use PDF with ease. PDF has two new or updated versions namely 10.1.5 and 11.0.1. Each of these versions have enhanced their security by a very rigid parsing of the PDF-header. These new updates do not permit the opening of even a small fraction of the PDF files which do not begin with a %PDF header. This causes “PDF document is damaged and cannot be repaired” error message to crop up. While trying to update the Acrobat, you might receive an update error which might read as “1635 This patch package could not be opened. 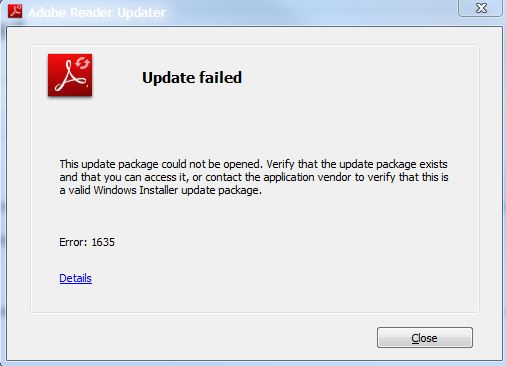 Verify that the patch package exists and that you can access it.” Or the message: “contact the application vendor to verify that it is a valid Windows Installer patch package.” Such an Error might occur if you have made some significant changes to the computer right before this issue appeared. Another important reason being Corruption. In case of Corruption, the metadata issues in the PDF file occur, (especially while the original document is being generated, scanned, etc.) As a result of the metadata problems, an invalid PDF file is produced and hence the above Error messages! The Error occurs usually when you try updating an old Acrobat version to a higher version. This error is usually observed when the PDF file is either removed or moved leaving the URL unchanged. Simply speaking, the page (here the PDF file) does not exist with its present URL. The above are only some of the common errors that have been mentioned. Going forward, let us see how we may combat these common errors which so often hinders work. If you’re using PDF Creators (software which automatically creates PDF files), make sure you modify the method under which the PDF is created. Finally, in case you are an enterprise IT professional or a customer, disable the header validation on your respective systems by setting the proper preference(s). And you can do that through HKCU per user and HKLM for all users at the machine level. 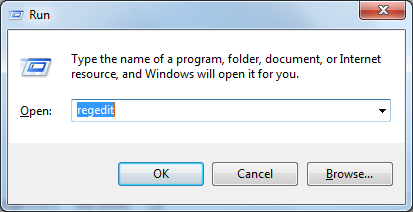 Uninstall your Adobe Reader from the windows. Go to the ‘Adobe Readers Download’ page. Click ‘Download Now’ to download Adobe Reader again. Permit the Download Manger with ample time to download the files necessary for installation. Follow the prompts and install Reader. This should rectify the error but if it doesn’t try using a different web browser. Since this occurs when you use Google Chrome, change the browser to either Internet Explorer or Firefox. Step – 1: click on the Start button. Type ‘Run’ on the box with “Search programs and files”. Step – 2: Click on Run. On the Wizard that appears, type ‘Regedit’. Click Ok. Step – 4: Choose Edit and then select ‘Delete’. Step – 5: A ‘Confirm Key Delete’ wizard appears. Click ‘Yes’. Step – 6: Repeat Steps 3-5 on the other/remaining registry keys. Step – 7: Exit Registry Editor. There are as many solutions as there are errors in the usage of PDF, explaining which would require yet more time and space. But if the above solutions don’t work out well for you, Kernel has a PDF repair tool which provides a simple way to repair Adobe PDF files. Kernel for PDF Repair possesses the capability of repairing multiple PDF files in a single Repair cycle. The Tool maintains complete properties as well as structure of the PDF file it treats. The texts, data, images, graphs etc. present on a particular PDF file that is being repaired by the Tool, is accurately recovered. The hyperlinks, contacts as well as notes are restored intact. The PDF file formatting (header, footer, font size, page layout) are kept intact, etc. How to Recover Corrupted Excel 2016 Files?